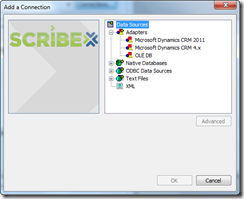 Some time ago I explained how you can connect Scribe to CRM2011 Online using the CRM4 adapter. 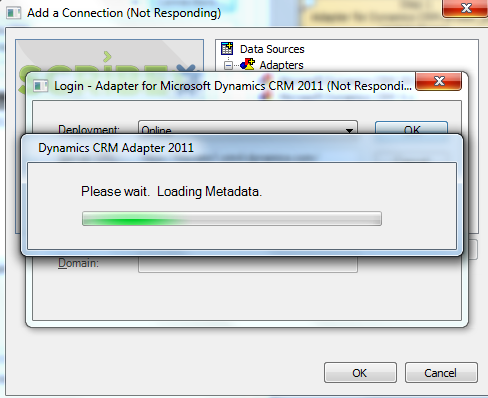 I also mentioned that the CRM2011 adapter would be released very soon. Well, good news, the adapter has been released. Of course Scribe Soft has like always made all the necessary documentation available to ease the installation process and general use. In this post I would also like to take the opportunity to go shortly over the installation process. 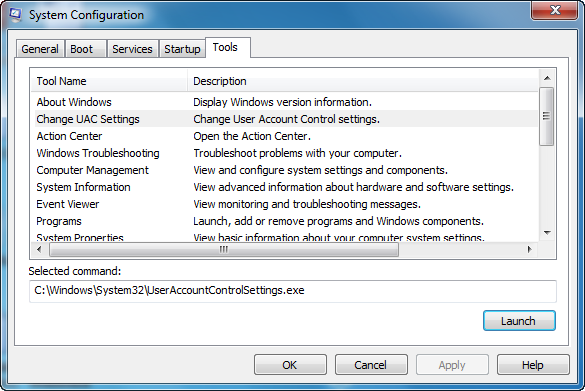 A little side note concerning Windows Identity Framework, this can’t be installed on Windows XP. If you have this OS and want to use this adapter, then it’s time to upgrade your OS. do this, you’ll keep getting the error saying that you need to install the prerequisites. 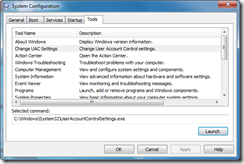 You can turn of UAC via “Run –> msconfig- Tools tab”. 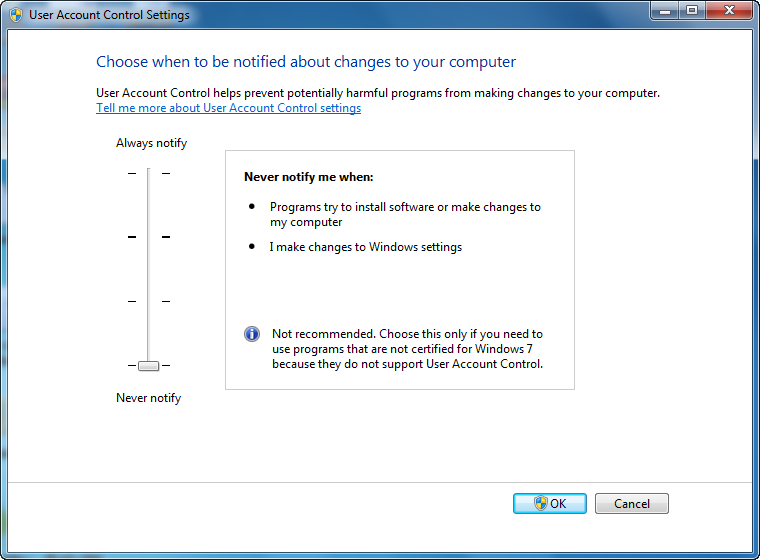 Click on "Change UAC Settings" and pull the slider all the way down to the bottom. 6) Now we’re all set to run the adapter installer. In Scribe Insight you immediately notice that there are two adapters. One for CRM4 and one for CRM2011. 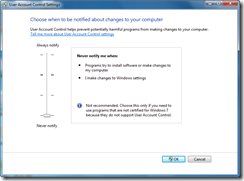 I didn’t have time to do much elaborate testing but when trying to connect to CRM2011 online I noticed that we now need to enter the user friendly name instead of the unique name. The UI during the connection process has also changed a little bit. Up until now I’ve had a very good experience using this adapter, so ScribeSoft, thank you very much, nice work!! 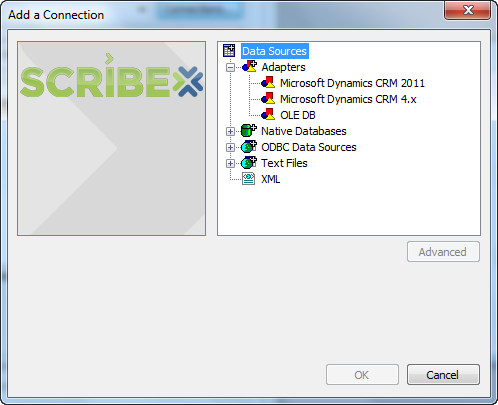 Scribe by default has a CRM adapter to connect to Microsoft Dynamics CRM. 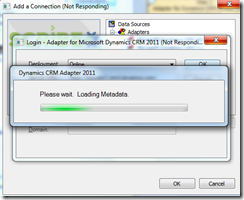 Now with the release of CRM2011, Scribe is working on a specific CRM2011 adapter. 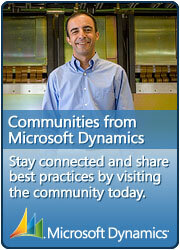 However, with the current CRM adapter it is also possible to connect to Dynamics CRM 2011 (online and on premises). Just for your information, the new adapter will be ready very soon (end of this month? ).